Saudi petrochemicals producers are looking for mergers and acquisitions to secure scale and raw materials as part of an efficiency drive to adjust their businesses to lower oil prices. The industry has developed substantially since the 1970s, fuelled by cheap gas feedstock provided by the Saudi government. Saudi Basic Industries Corporation (Sabic), the kingdom's biggest petchems firm, is the world's fourth-largest by sales behind German BASF and Bayer and US Dow Chemical. But a government decision in December to raise feedstock prices, has forced petchem firms to reconsider their business models, already hit by lower product prices due to cheap crude. Saudi companies have already invested abroad with Sabic signing a coal to chemicals project in China. Another reaction has been consideration of potential mergers and acquisitions. "We made a commitment at Sabic to improve our efficiency to absorb the additional cost for the feedstock and we will do that, but we still look for any other options that can position Sabic competitively for investment through acquisitions," said the company's acting CEO Yousef al-Benyan. The acquisitions route could create a number of benefits, including increased scale for businesses to drive efficiencies, sourcing raw materials, and expanding into new product ranges. Petrochemicals are the second-largest contributor to Saudi’s economy at 7-10 per cent of GDP and have the potential to be a significant part of the kingdom's Vision 2030 economic plan. "The way forward is to crack naphtha or to grow outside, and me and everybody are looking outside. By increasing gas prices, the opposite will happen, it is definitely not going to encourage investors to go further downstream," stated Mutlaq Al Morished, chief executive of National Industrialization Company (Tasnee). It is the increase in feedstock prices that has jolted the Saudi petchems industry into action, as previously they could enjoy much improved margins thanks to subsidies. The Saudi government has pledged to phase out "support" over the next five years - and high-priced oil and Saudi is competing on a level playing field. 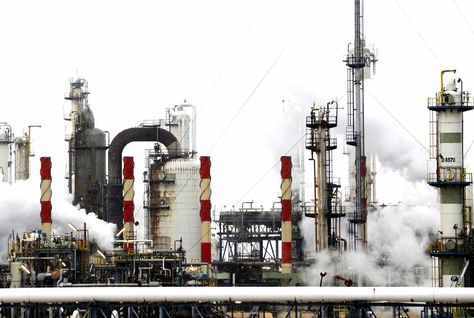 "What is alarming in the Saudi petrochemical industry is its obsolete fixed assets and inefficiency, where large numbers of plants today are more than 20-30 years old and do not match parameters of fuel consumption and need to be replaced," said Mohammed Alomran, a member of the Saudi Economic Association. Most Saudi petchem firms are now undertaking restructuring programmes to slash costs - Tasnee said it has cut 2,000 jobs, while Sabic is reviewing some of its investments. It could help to switch to a more effective feedstock, but this is being inhibited by Saudi's shortage of gas. "I think the Saudi petchem industry is more constrained by new gas allocations than by price," said Sanjay Sharma, the vice president (Middle East and India) at IHS Chemical Consulting. Aramco plans to double gas output in a decade but it is unclear just how much will go to petrochemicals. One alternative is deriving petrochemicals directly from crude oil, with Aramco and Sabic announcing this week they were study building an oil-to-chemicals (OTC) venture. OTC will open up a number of new downstream product lines to Saudi producers, which fits with the kingdom's strategic goals of creating more higher-value products. But the technology is still developmental and there are question marks over how it would work commercially, Sadad Al Husseini, a former top executive of Aramco, says. Therefore, perhaps the most promising short-term solution would be to go down the M&A route for more feedstock supply. Aramco has indicated it would seek opportunities in global upstream gas, while SABIC has said in May it would look to North America for gas to fuel growth. However, it is unlikely to result in M&A within the Saudi sector due to cumbersome rules on combining listed companies.